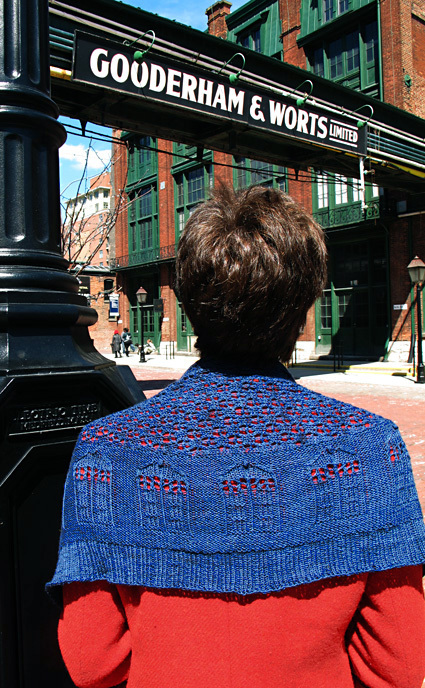 I promised I would show a modeled version of the “Bigger on the Inside” shawl, and here it is. I really like how the shawl/scarf turned out. Thanks to Kate Atherley for the design, found in Knitty Spring/Summer 12. Modeled by Daughter #1. 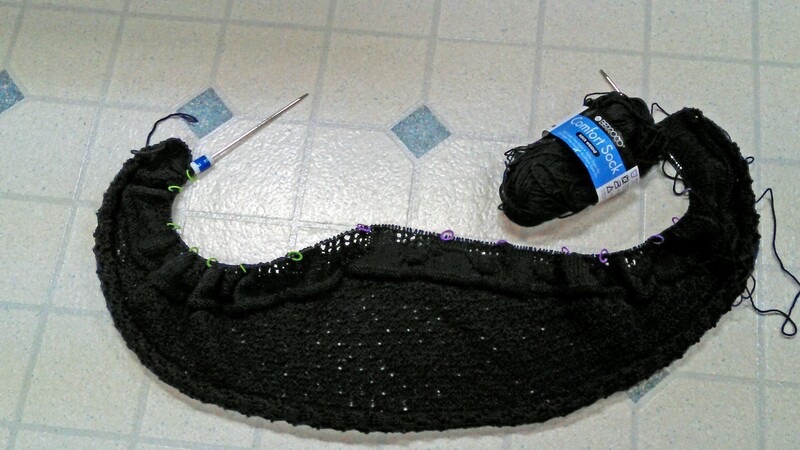 The Tardis Shawl is coming along. My one regret is that I really should have used a larger needle, but I used what was recommended in the pattern, and I’m not going back now. Let’s hope it blocks to a better drape than it seems to want, right now. 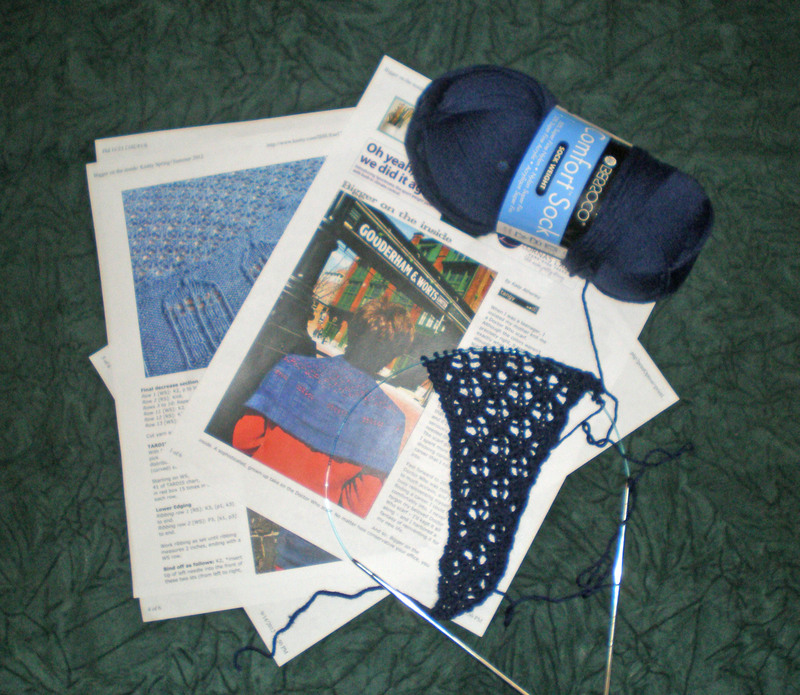 Pattern is from Knitty, “Bigger on the Inside” and yarn is Beroco Comfort Sock in Navy. 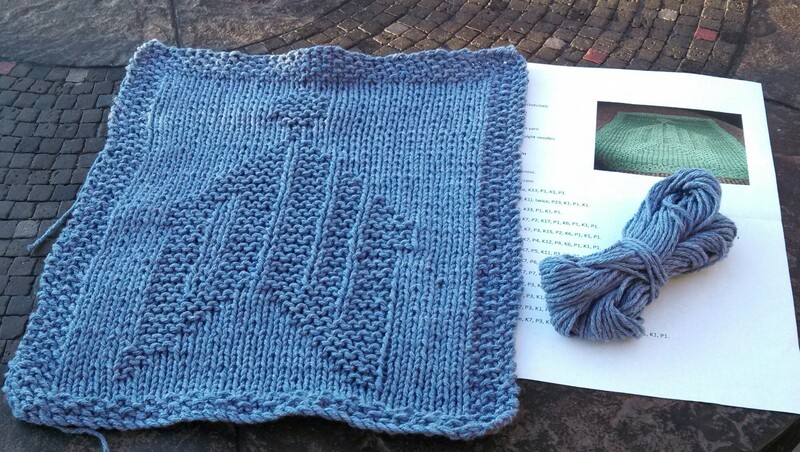 This is a shawl knit sideways for the lacy part and lengthwise for the Tardis pattern. Thoroughly enjoyable – challenging, but not too difficult. Two photos – one of the entire piece with a detail shot where you can see the Tardis emerging. 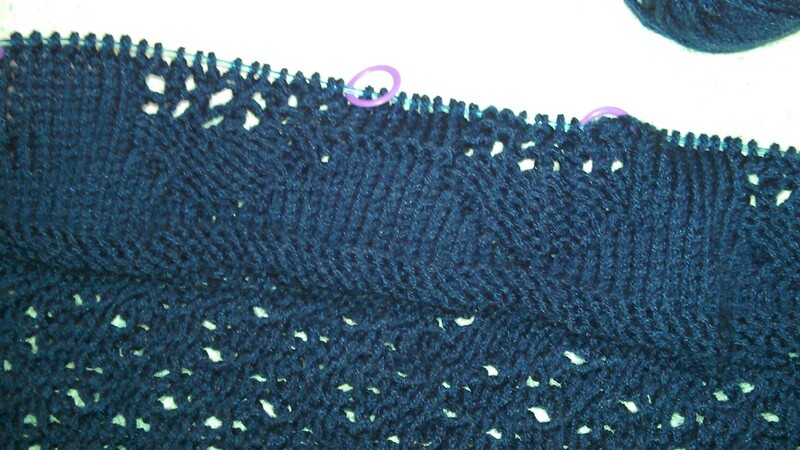 The yarn is very dark, so it’s hard to see the pattern on the overview photo. Very cool birthday gift from Daughter #1. There’s a Tardis for everything these days. 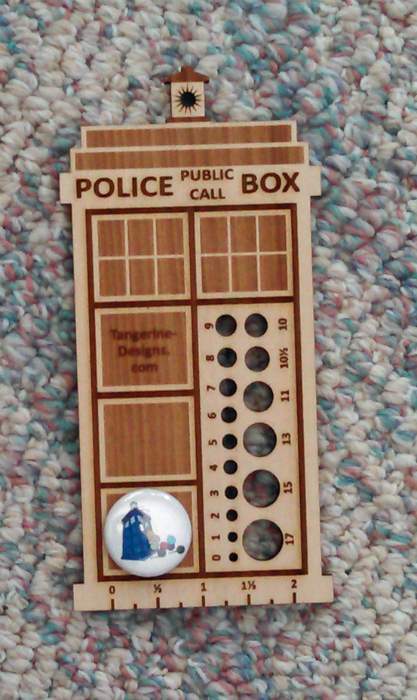 The little button on the bottom has yarn balls spilling out of the Tardis. So far, this is a lot of fun. The lace part is very rhythmic and appeals to my sense of symmetry. I can hardly wait to get to the Tardis part! I have two, 2″ 3-ring binders full of patterns that I am interested in, not to mention all the digital patterns on my tablet device through DropBox. Every time I see something interesting, I must mark it in hopes that I’ll “eventually” get to it. The pattern below has made it to that list, and I might already have the yarn for it, though it is a dark navy instead of the royal blue. I’ll have to think about that. Along the theme of “knitted sci fi” (which, if I keep this up will get its own category) is the “Bigger on the Inside” Shawl from Knitty. Knitty is a 10-year-old, on-line only, knitting magazine full of patterns, articles, tips and tricks. The patterns are always the next step in edgy, and have a nice range from easy to extremely difficult (in Knitty parlance, it is mellow to extra spicy). If you have never checked it out, it is well worth the visit. If you are more into (or also into) spinning, Knitty has a companion publication, KnittySpin. Seriously, does it get any better for a Who-ite? 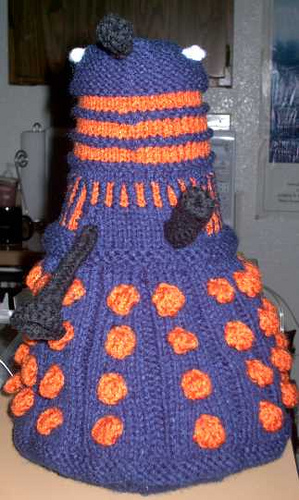 You can only knit so many Tom Baker scarves, you know.